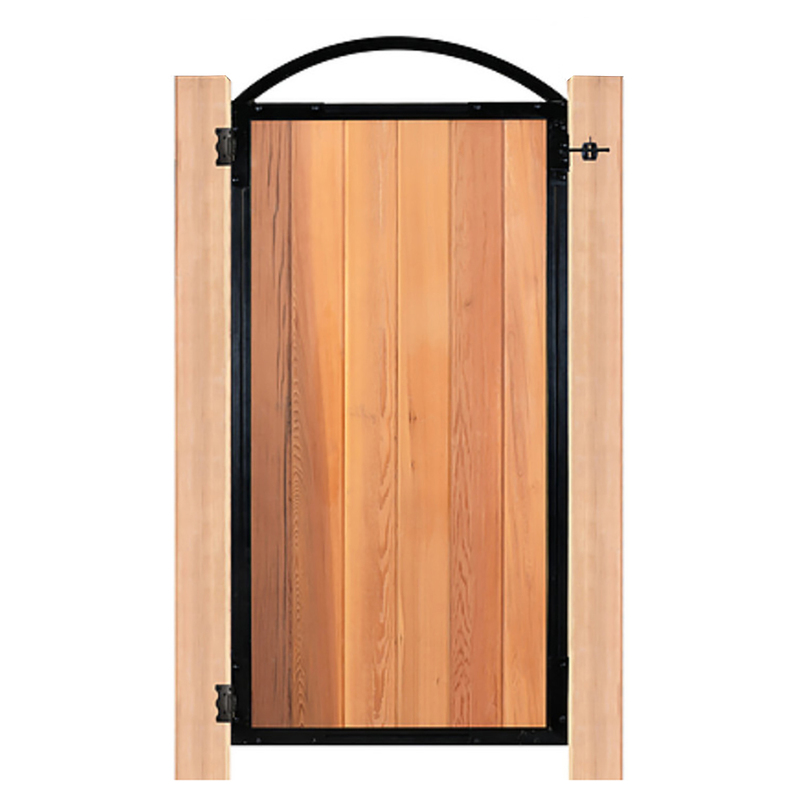 Want a easy way to create a gate and add an elegant finish to your fencing project? 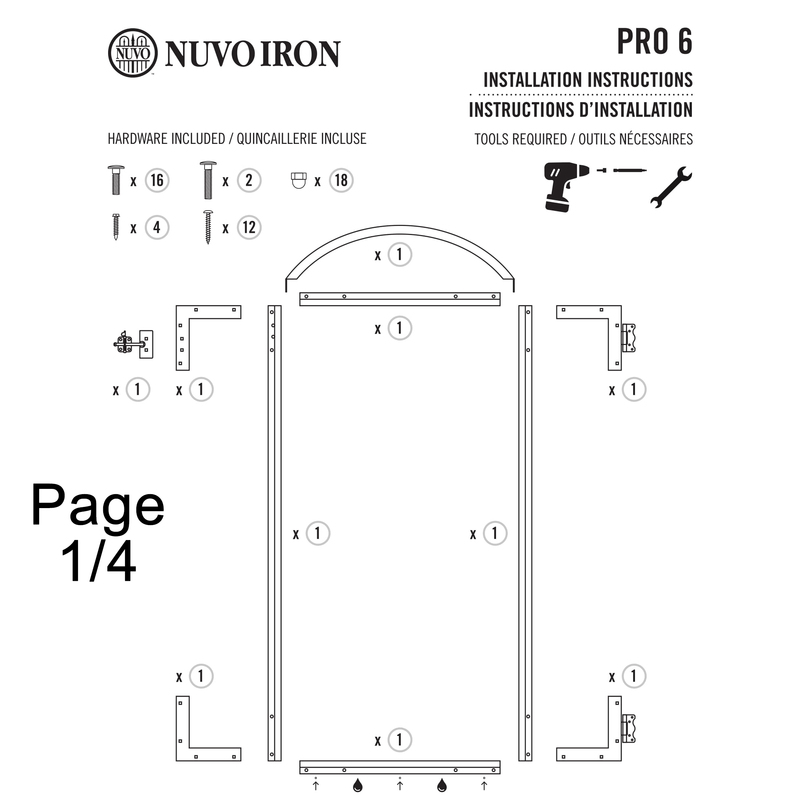 This is possible using this Nuvo Iron gate frame kit. It is made of galvanized steel, black finish. 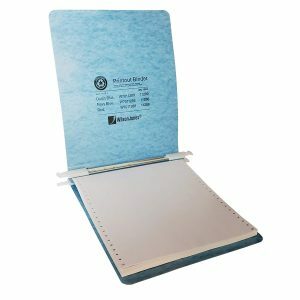 For use with pressure treated green or brown, cedar or vinyl fence boards (sold separately). 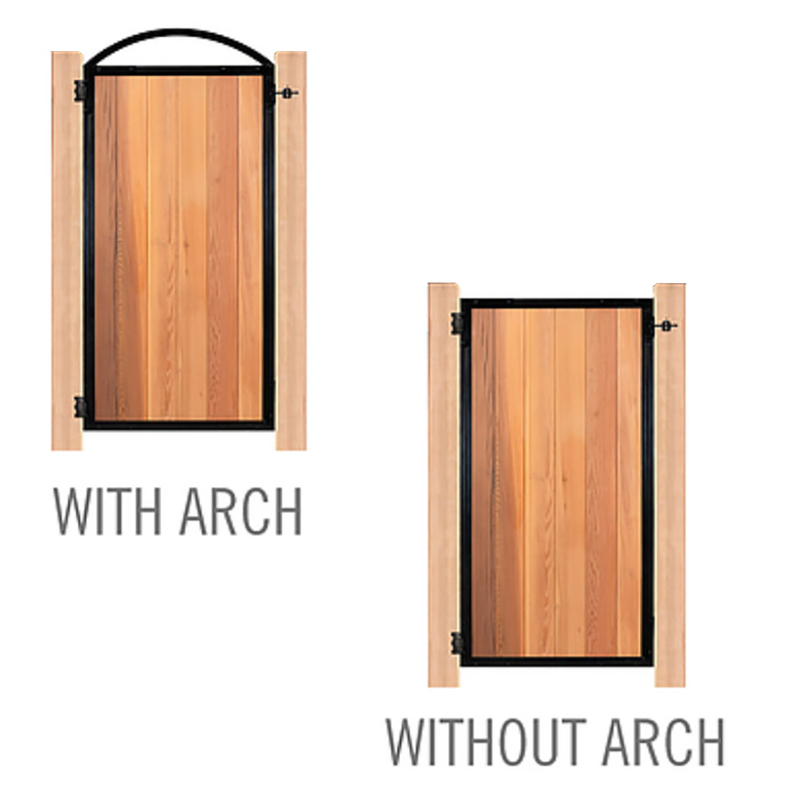 Additional style – use without the arch for a clean and simple rectangular gate frame. 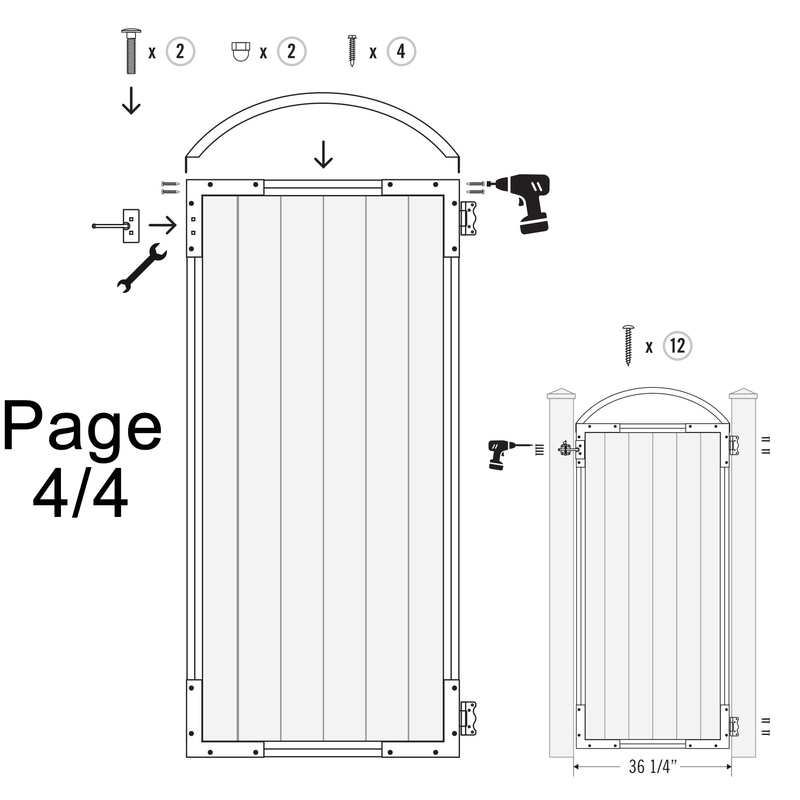 Decorative, easy to install, square & strong gate frame kit. Can be installed with Arch, or without Arch. 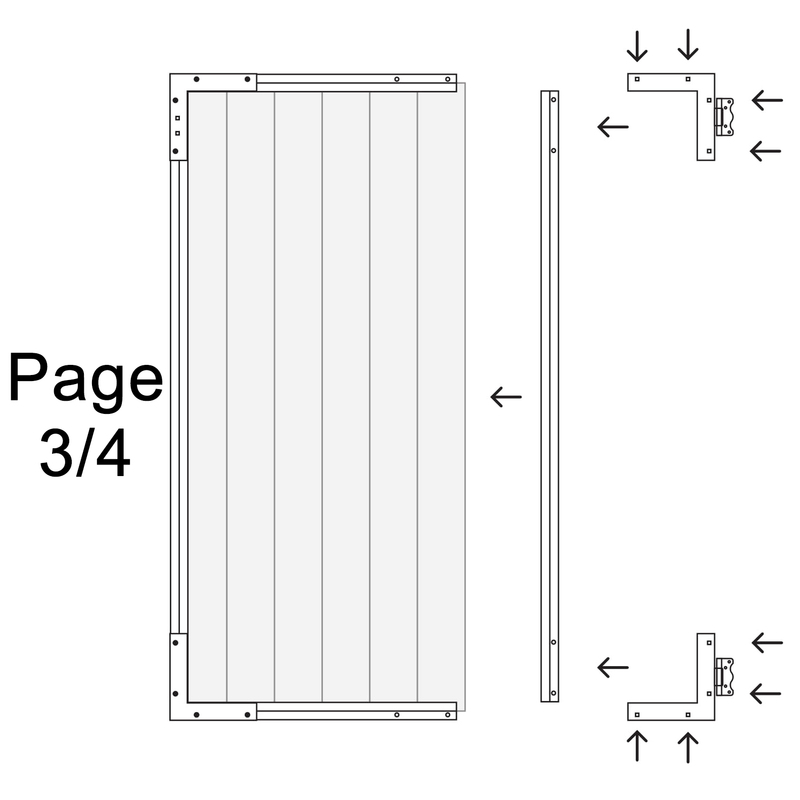 Designed for opening 36-1/4” wide (6 standard fence board wide x 6′ long). Hardware and Arch included – Wood not included. 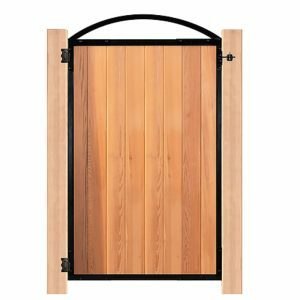 Install Pressure Treated Green or Brown, Cedar or Vinyl Fence Boards (not included) into Gate Frame. 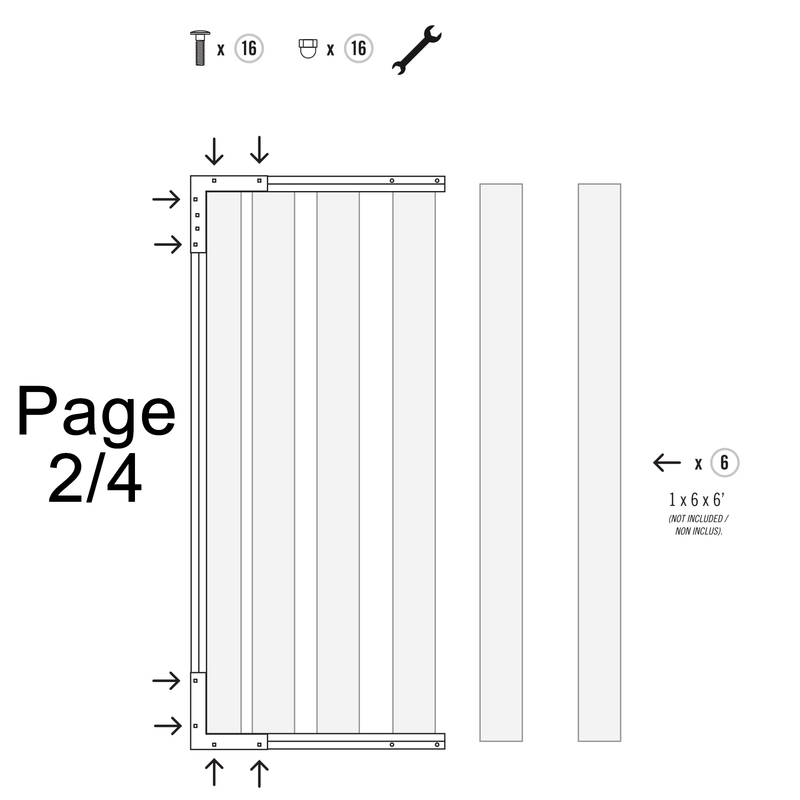 Fits 6′ long standard fence boards. 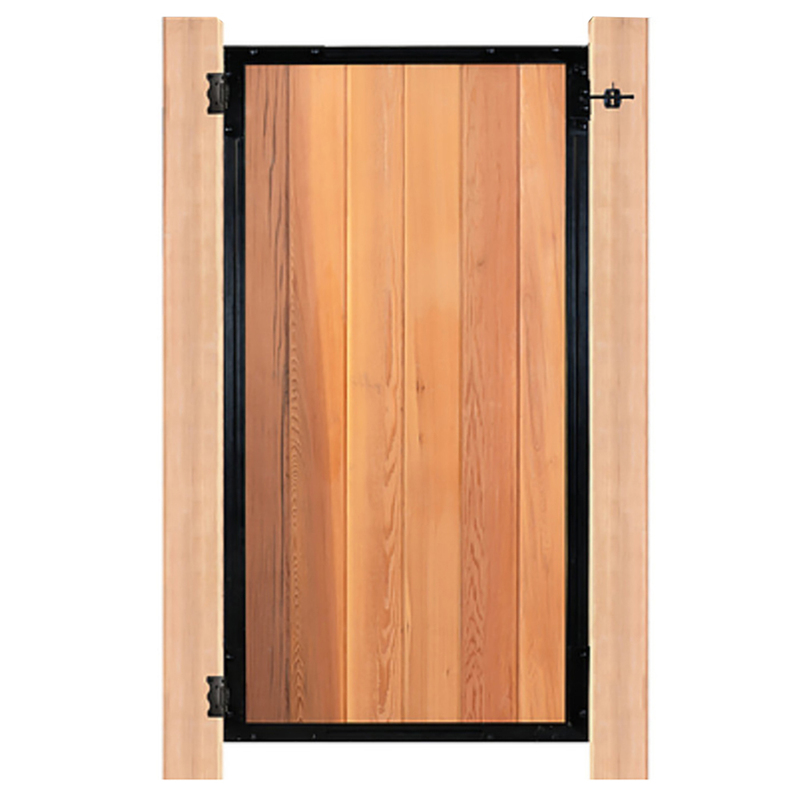 Install Pressure Treated Green or Brown, Cedar or Vinyl Fence Boards (not included) into Gate Frame. 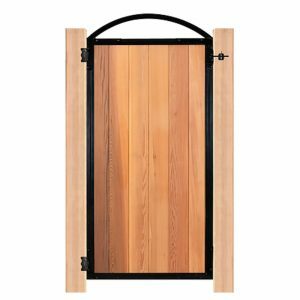 * You can use dimensional lumber fence boards being 5 1/2″ wide, can also accommodate cedar or vinyl but may require trimming.